I've gotten accustomed to spending time away from the farm over the past few years. A hectic travel schedule is part of the deal when you've had the opportunity to be involved in agricultural leadership as I have recently. I'm away from the farm this week, but it's not for a meeting or conference. Nope, I'm "relaxing" down at the beach with my family. Now don't get me wrong, I love spending time with my family. Time away with my wife and kids is a really good thing, and they deserve my undivided attention from time to time. So here I am, sitting on a sandy beach doing nothing but sipping a cold adult beverage, listening to classic country music on Pandora, watching the kids play in the sand, and typing out this blog post (while my wife rightfully accuses me of ignoring her). Is it relaxing? Yes, but with relaxation comes a little guilt. Why? Because I know my dad and our employees are having to pick up the slack while I'm down at the beach doing nothing that improves our dairy. At least I feel like I'm indirectly helping our family business when I'm at a meeting/conference. I was fine for the first 45 hours I was away from the farm, but I couldn't resist calling Dad at 8:00 this morning for an update. And I couldn't resist calling again after looking at a rain-filled RADAR image after lunch. Much of my thoughts from this point on until we get home will center around spraying Round-Up and planting forage sorghum. We have one more full day down here before heading home Thursday morning, and I expect I'll fully enjoy myself and my time with my family between now and then. But I can guarantee you that we won't be back on the farm one moment too soon! Thinking back on some of the family vacations we took when I was a kid, I guess I'm becoming more and more like my old man. My sister and I were blessed as kids to have a father who always seemed willing and able to spend time with us. Even after a long day of farm work, he would find the energy to throw a baseball with me in the back yard or roughhouse on the den floor after supper. And there's no telling how many workdays he had to cut short to coach my ball team or attend some other activity we were involved in. Even today he takes on more than his fair share of the farming chores so I can be involved in different agricultural organizations. Dad taught me to honor God and my family by giving my best effort in everything, fulfilling my responsibilities, and making sacrifices when necessary. Now that I have two kids of my own, I realize how difficult it is to balance the needs of the family with the demands of the family farm. 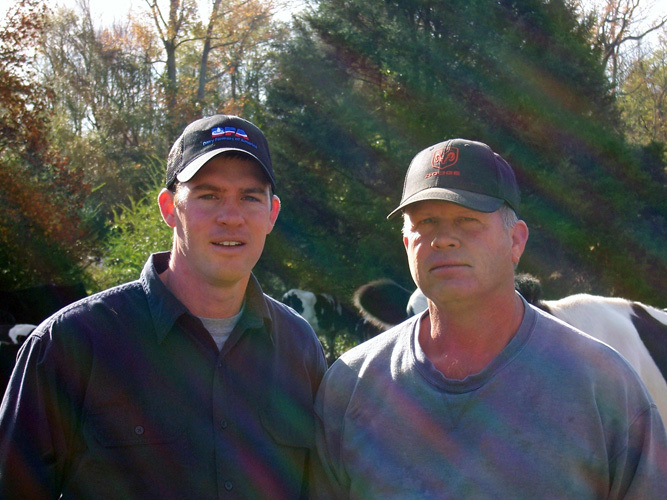 Thankfully, I have a great example in my father of how to be both a farmer and a family man. And since we Gilmer men aren't very vocal with our emotions, I'll sum up my feelings like this: "I live across the road from the man, I've worked with him for 10 years, and I ain't got no complaints." As the old saying goes, "anyone can be a father, but it takes someone special to be a dad." Happy Fathers Day, Dad, and the same to all you other folks who have earned that noble title. If this hot, dry weather has been good for anything, it's at least given me an opportunity to kill some weeds this week. This sounds easy enough, but it's not as simple as dumping some chemicals into a tank and taking off across a field. 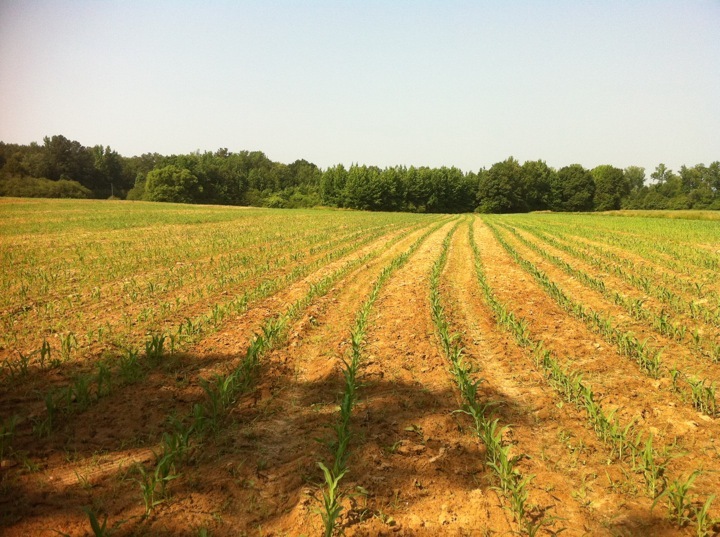 Each herbicide has detailed "do's and don'ts" that we must adhere to. Different rates/concentrations will have different effects in different conditions. Protective clothing must be worn when handling these herbicides, and they often have to be mixed in a certain order when used with liquid fertilizer, adjuvants, or other herbicides in the same tank mix. We use GPS assistance to minimize application skips and overlaps in the field, and keep records that include the time, temperature, and wind speed/direction while making applications. My first herbicide applications this week were in a large 60+ acre heifer pasture. 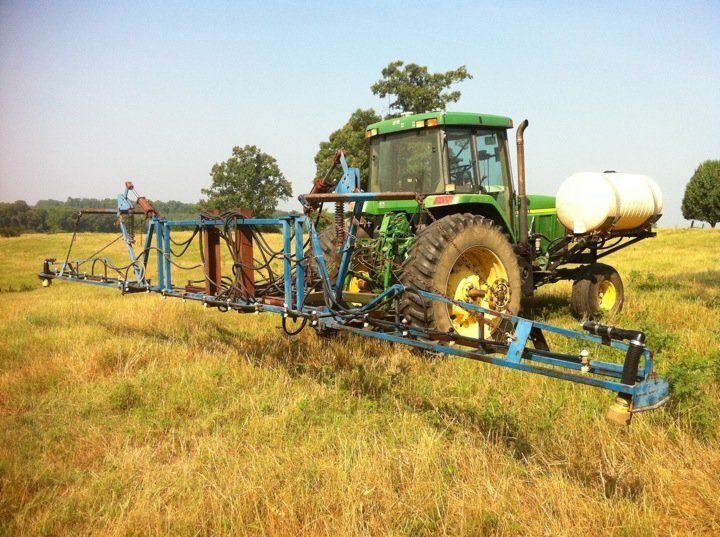 I used a selective herbicide, primarily targeting pigweed, ragweed, and dog fennel. The weeds showed signs of stress within an hour of being sprayed, and 24 hours later it was obvious they were wilting. Using a selective herbicide to kill weeds removes the competition for soil nutrients, thereby improving the quantity and nutritional quality of the pasture grass (bermuda in this case). Once I finished applying this particular herbicide, I thoroughly cleaned the tanks and sprayer lines as per the instructions on the the herbicide's label. Today I applied a different selective herbicide on our silage corn crop down in the bottomland. This time it was in an effort to kill and control broadleaf signalgrass, cocklebur, and morning glory. Though it's hard to tell from the photo, quite a few broadleaf weeds have already popped up between the rows. The herbicide I applied should kill them and have enough residual effect to prevent more from sprouting. There are pockets of johnsongrass here and there that this herbicide won't effect, but I can control that with glyphosate in a couple of weeks since the corn is a Roundup-Ready variety. Speaking of glyphosate, that's likely the next herbicide application on the agenda. We'll either use a minimal- or no-tilling planting technique for our sorghum crop, but first we need to kill all the grasses and weeds that have grown up in the fields. We can't begin the planting sorghum, though, until we get some rain to improve the soil moisture. With that in mind, I probably won't be in any big hurry to get the sprayer back into the field until a couple of days prior to a favorable rain forecast.